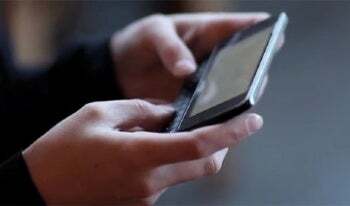 Nokia and Intel have become allies in a new clash of the operating systems with the joint creation of MeeGo. MeeGo is an operating system that blurs the line between a robust mobile phone OS and a lightweight netbook OS. MeeGo is a hybrid of two operating systems. One is Nokia's Maemo, which recently appeared in the N900 smartphone. The second is Intel's Moblin, an OS primarily intended for netbooks. Both platforms are open-source and Linux-based, as MeeGo will be. MeeGo is intended for advanced smartphones, tablets, netbooks, in-vehicle technology and even connected televisions. It supports ARM architectures -- commonly used in advanced smartphones and smartbooks -- and Intel's Atom processor. The first devices should launch in the second half of 2010. We can only imagine what MeeGo will look and act like, but it's interesting that Intel and Nokia are targeting a range of mobile devices that aren't necessarily smartphones or notebooks. MeeGo is intended for a new OS category that doesn't yet have a name -- revolving around tablets but not specifically for them. The competition has taken a different approach of scaling its existing operating systems. Apple tweaked its iPhone OS to support the iPad. Other tablet designers are trying to make Android work. Microsoft is trying to cram Windows 7 Starter onto netbooks and tablets, such as the Archos 9 and an unnamed HP tablet. Meanwhile, Lenovo has gone rogue, creating its own operating systems for the Skylight smartbook and the tablet portion of its IdeaPad U1. Google's strategy with Chrome OS might be the most similar to that of MeeGo. So far, Google has only discussed Chrome OS in the context of netbooks, but like MeeGo, it supports both X86 and ARM architectures. That opens the door to tablets, smartbooks and smartphones. MeeGo's Web site says the source code, and hopefully more information, will become available in the coming weeks, but I'm most curious about who will use the OS. If other manufacturers besides Nokia are willing to put MeeGo on their mobile devices, it could be a worthy competitor to offerings from Apple, Google, and Microsoft.